In recognition of his seminal contributions as a Cavalry officer to the development of dressage in the U.S. He was the first American to embrace dressage as his chosen equestrian discipline and also trained all of his own horses. Colonel Tuttle is the only US rider to win an individual medal in dressage at the Olympic Games (1932). He trained his student Lieutenant Robert Borg, who earned a Team Silver Medal at the Olympics the highest placing by a U.S. dressage team. Hiram Tuttle was the first American to embrace dressage as his chosen equestrian sport. He had a true love for his horses - unusual in an era and a profession in which most mounts were assigned, not chosen; and in which few cavalrymen owned their own horses. Something about dressage appealed to him and made him and his horsemanship stand apart from his fellow officers. It appears that Tuttle chose dressage for personal reasons, not professional; and that's why most of us choose dressage. Tuttle was a practicing attorney when he joined the army as part of its emergency expansion before World War I. In his day, he was the army's lone dressage enthusiast who did not fit the cavalry mold. Older than his Olympic teammates, Colonel Tuttle developed a passion for dressage when almost no one in the U.S. had ever heard the word. Despite the lack of qualified dressage instructors, he somehow managed to teach himself the fine points of classical horsemanship and went on to become this country's foremost dressage rider. He played a major role in the army team's winning the team dressage bronze medal in the 1932 Olympics in Los Angeles - America's first medal in Olympic dressage - and also claimed the individual bronze medal aboard his horse, appropriately named Olympic, in the highest-ever individually placing in American Olympic dressage history. When you consider all of the wonderful riders and horses the U.S. has produced - from Hilda Gurney and Keen, Carol Lavell and Gifted, to Michael Poulin, Guenter Seider, and Graf George - it is quite a testament to Tuttle's skill. Colonel Tuttle did so much with so little and was so little appreciated. He was the only officer to focus strictly on dressage. Everybody else in the army world - which in those days meant in America - who did dressage learned what to do and how to do it from him. They also learned from Tuttle's horses, which he owned privately so that he could school them as he pleased and use them strictly for dressage, without the all-around demands that were placed on the cavalry-owned mounts. Two of Tuttle's self-trained horses, Olympic and Si Murray, competed on the 1936 U.S. Army Dressage Team. In some ways, Tuttle was the Rodney Dangerfield character among the cavalry officers. He didn't get much respect. Part of the reason was that most army riders had little use for dressage's discipline, formality, and lack of excitement. Tuttle also contributed to the development of dressage by training a protege, Lieutenant Robert Borg, who won team silver - the highest placing by a U.S. dressage team in Olympic history, and finished fourth individually at the 1948 London Games. Borg also was the highest-placing rider on the 1952 U.S. Olympic Dressage Team. Tuttle continued to ride and care for his horses after he retired from the military and he never sold any of his mounts. 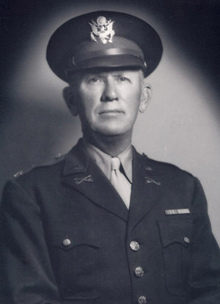 He died in 1956 at the age of 73 and was buried in the cemetery at Fort Riley - also the final resting place for his horses Vast, Si Murray, and Olympic. We are honored to induct Colonel Hiram Tuttle into the USDF Hall of Fame.